At noon today, E3’s show floor opens to the public. 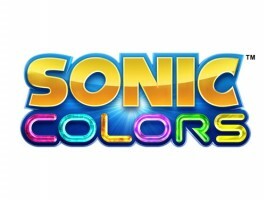 Though we’re still not sure if Sonic Colors will be playable on the floor, at the very least, Sega has released a new E3 addition to the initial announcement trailer. Though there’s still not any actual gameplay footage, we get our first listen at the vocal theme song for the game – “Reach for the Stars“, sung by Jean Paul Makhlouf from the band Cash Cash. The 20 additional seconds of footage show’s Dr. Eggman’s huge planetary tether (which doubles as an amusement park), and a scene that might as well be straight out of Super Mario Galaxy: a wisp flying around Sonic in the middle of space before they slap five and Sonic uses his laser ability to trash a bunch of Egg Pawns.